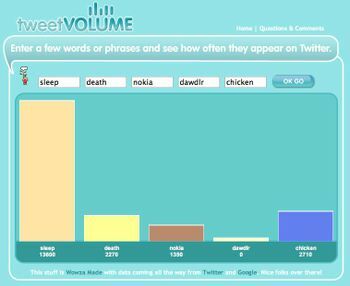 tweetVOLUME is another great little twitter tool that you can imagine using for, er, something. via Data Mining. I've been compiling a massive report on offal consumption on my blog. NO-ONE could have anticipated that.